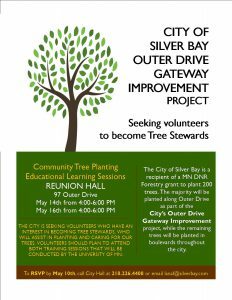 The City of Silver Bay is a recipient of a MN DNR Forestry grant to plant 200 trees. The majority will be planted along Outer Drive as part of the City’s Outer Drive Gateway Improvement project, while the remaining trees will be planted in the boulevards throughout the city. The city is in need of volunteers interested in becoming Tree Stewards. If you are interested, educational learning sessions will be conducted on May 14 and May 16 from 4-6 PM. 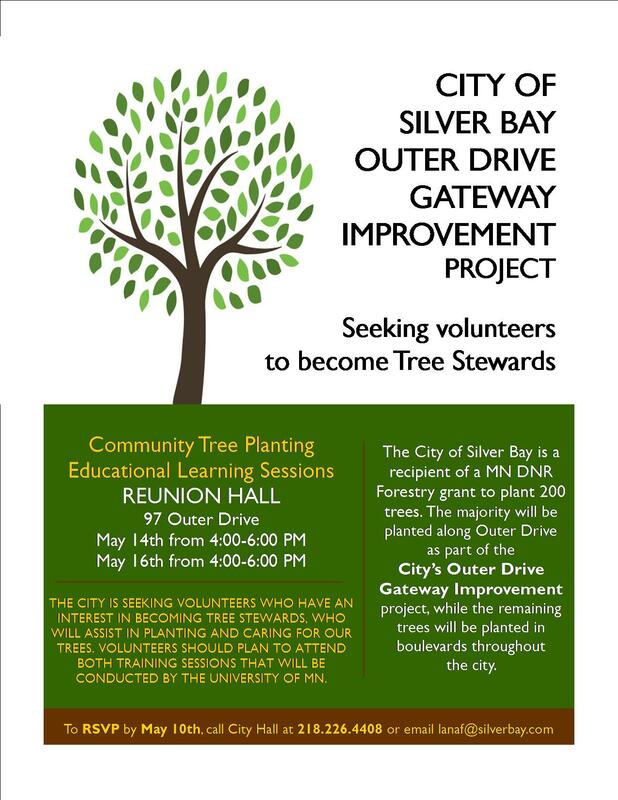 Please RSVP by May 10th, by calling City Hall at 218.226.4408 or email lanaf@silverbay.com.